Oral cancer affects almost 50,000 individuals in the United States every year. At Advanced Dental Health, your oral and physical health are very important to us, which is why we provide oral cancer screenings as a part of your routine examination every six months. It only takes a few minutes and could help prevent serious health conditions from developing. When oral cancer is detected in its earliest stages, it is far more treatable and patients can have an 80–90 percent chance of survival. During an oral cancer screening at our Phoenix, AZ, practice, our doctor will use diagnostic x-rays to thoroughly examine your oral structure, including the lips, gums, and lymph nodes for any signs of oral cancer. Although anyone is susceptible to oral cancer, you have a higher risk of developing it you if you smoke, drink alcohol heavily, maintain an unhealthy diet, have a family history of cancer, or are regularly exposed to sunlight and ultraviolet (UV) rays. 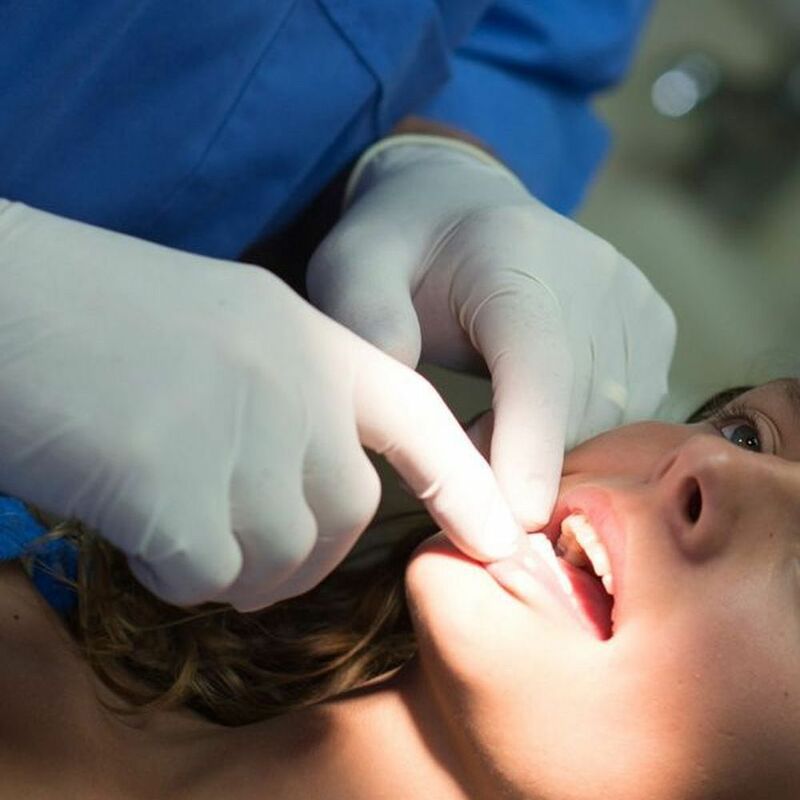 In recent years, there has been a rise in the number of patients in their 20s and 30s that have developed oral cancer, which has been linked to human papillomavirus (HPV). While some of these symptoms could be indicative of another issue, such as temporomandibular joint (TMJ) disorder, it is in your best interest to have any abnormal oral issues addressed immediately. Regular routine exams at least twice a year can also help detect abnormal tissue and cancerous cells early, improving the likelihood of a full recovery. A full evaluation at Advanced Dental Health can help discover potential concerns, allowing our doctors to provide treatment as soon as oral cancer is detected. Regular routine exams at least twice a year can also help detect abnormal tissue and cancerous cells early, improving the likelihood of a full recovery. During an evaluation, the doctor will compare previous and current digital x-rays after one of our hygienists has performed your cleaning to help detect any changes in your teeth, gums, and jawbone. They can also perform a gentle physical examination of your head, neck, jawbone, and face, checking for any lumps or abnormalities. If anything is detected, your doctor may take samples for a biopsy or recommend that you visit a specialist. If you are experiencing any symptoms of oral cancer that have lasted more than two weeks, call our office at (480) 783-7192 immediately or contact us online today to schedule an exam with our office. A routine oral cancer screening could help save your life.